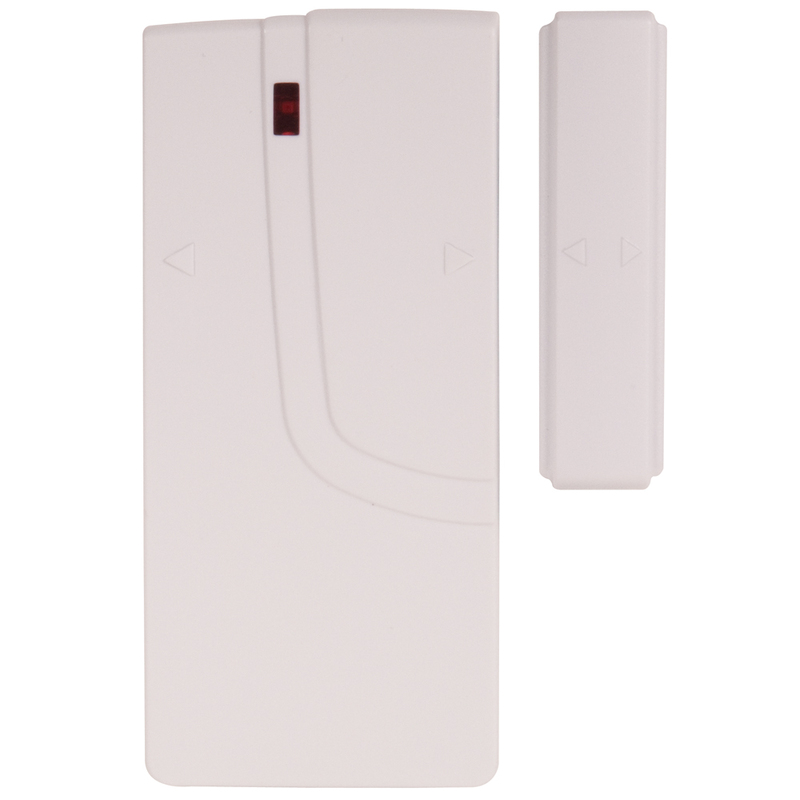 The STI-WS102 Door/Window Sensor consists of two parts; a transmitter and a magnetic contact. Once this sensor is installed, with the transmitter fastened to the frame and the magnet to the door or window, the sensor will trigger and transmit a message to the Burglar Stopper Smart Panel when the door or window is opened. The STI-WS102 Door/Window Sensor consists of two parts; a transmitter and a magnetic contact. Once this sensor is installed, with the transmitter fastened to the frame and the magnet to the door or window, the sensor will trigger and transmit a message to the STI Burglar Stopper® Wire-Free Protection System Smart Panel when the door or window is opened. The system protects access points around the home including those on or in garages, cabinets, sheds, attics, side doors and freezers. The magnetic sensor can be mounted on right or left side of door or window. For use with Burglar Stopper® Wire-Free Protection System (STI-WS100SG2). Sensor alerts Burglar Stopper® Smart Panel when a protected door or window is opened. The system protects access points around the home including those on or in garages, cabinets, sheds, attics, side doors and freezers. Magnetic sensor can be mounted on right or left side of door or window. Sensors operating temperature: 14° to 113°F (-10° to 45°C).